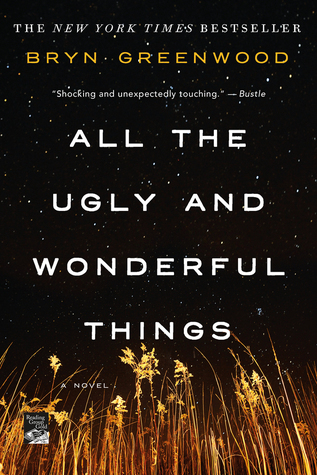 Hello everyone, today I am here with another ______ Picks My Books post. This month I am excited to say that another good friend of mine Jenna picked two books for me. She is absolutely wonderful, you all need to check her out ASAP. Now Jenna and I have been reading books together for the last few months. I think at this point it has been 5 or 6. With us discussing so many books together in detail I was very confident to pick her next to pick books to add to my TBR. Before getting further into this post I am going to link to all the previous posts in this series incase you have missed any of them. So just like previous posts I gave Jenna minimal rules or guidelines to follow. I asked her to pick 2 books, any books she wanted. I did not limit her to specific genres or anything like that. It makes it more interesting. So once I gave Jenna all the information she quickly got to work trying to figure out what books to have me buy and read. Well, I also had to wait for her letter to get to my house. Jenna did something so fun, she sent me a letter in the mail to tell me what books she picked for me. Now, if you don’t know me that well you may not know I LOVE getting letters in post cards and I am an avid user of postcrossing where you send postcards to people around the world and then others send you post cards from all corners of the planet. Anyway, I LOVED this idea, I just did not love the waiting. I was way too excited. Eventually, I got the letter with my TBR and a lecture to finished the Bill Hodges trilogy by Stephen King. I will point out that I have now finished it! 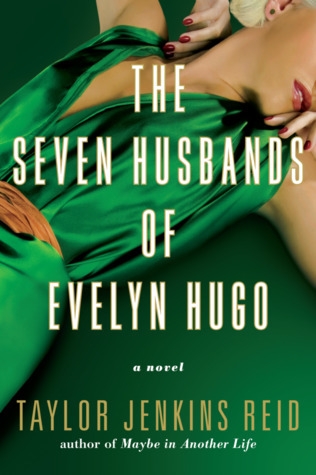 Description: Evelyn Hugo is finally ready to tell the truth about her glamorous and scandalous life. But when she chooses unknown magazine reporter Monique Grant for the job, no one in the journalism community is more astounded than Monique herself. Why her? Why now? I am very excited to get to these books in the next month or so. 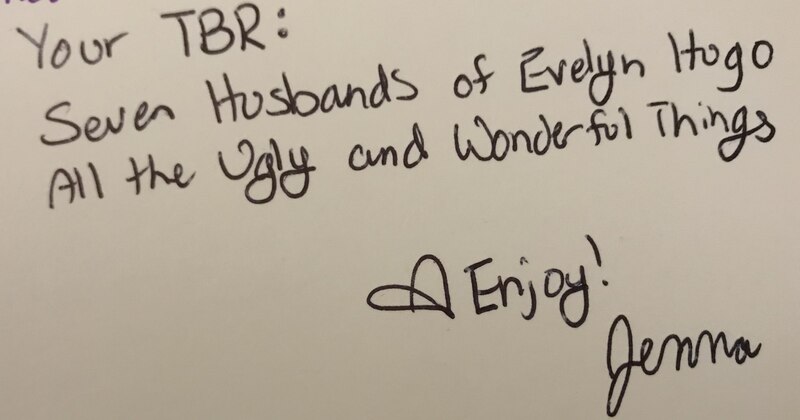 I have been seeing The Seven Husband of Evenly Hugo all over the place so I am very glad she picked this one and I have never heard of All the Ugly and Wonderful things, but the description is so interesting. So, all I have to say is, good job Jenna! Have you read either of these books? What do you think of them?